After being locked away for many years, Sega's Yakuza series has seen a sort of resurrection overseas. Fitting then that after the brilliant prequel in the form of Yakuza 0 just this year, Sega has quickly gone the extra mile to also bring over the PS4 remake of the series' very first title. That title, of course, is Yakuza Kiwami. With an enhanced presentation, new content, and a budgeted retail price tag is it worth revisiting Sega's former PS2 relic? The original Yakuza occupied a rather strange space in time, especially for Sega. It was a spiritual successor to Shenmue and, just like it, was also an utter commercial flop for several of the same reasons (poor sales and an overly expensive localization). Still, the series has mostly been kept alive in Japan, and hopefully soon to be the US as well, with each one paying reverence in some form to the very first game. But times have changed, and the series along with it. Yakuza Kiwami seems to embrace this philosophy while retaining the heart of an extremely faithful remake. Premise-wise, Kiwami is almost 100% identical to its PS2 forefather (there are a few new cutscenes which I'll get into a bit). Lead protagonist, Kazama Kiryu, is sentenced to jail by taking the blame for the murder of the Dojima clan's patriarch that his sworn brother, Nishiki, committed out of defense. 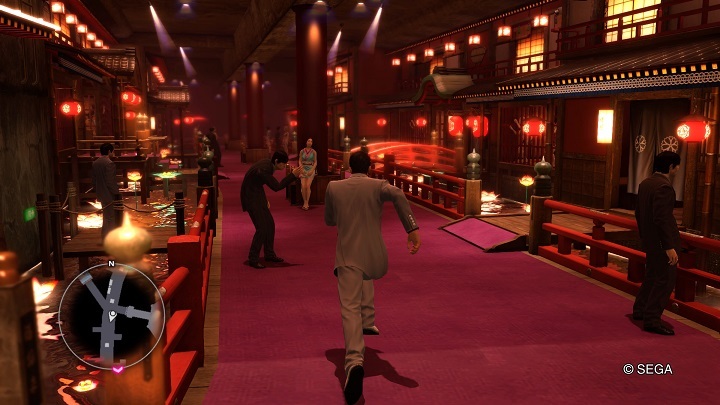 Ten years later Kiryu is released from prison (his parole was real generous, apparently), only to learn that the tumultuous yakuza landscape has shifted dramatically. With murmurings of a missing ten billion yen from the Tojo clan, and a mysterious girl named Haruka that Kiryu accidentally gets stuck babysitting who may be the key to it all, sets the pieces into motion for the crime based tale that started it all. Beyond that, however, Yakuza Kiwami feels like it is playing an often subtle mind game based on whether or not those that played the original PS2 release are able to spot the differences. Some changes are quite obvious like the presentation. The PS2 version has not aged that well visually so the graphics derived from Yakuza 0's engine really pays off. Granted, it is somewhat clear the production values are not as high as 0's and certain aspects like basic environments or specific character faces still remain to be rather....um, unfortunate upon closer scrutiny. Other changes are less obvious, like how the cutscenes themselves are almost identical, even down to lip sync timing, despite being rendered in an entire new engine. Yet, at random junctions in the story they splice in a few new cutscenes -- most of which constantly made me second guess if they were in the original game or not -- that seem to mostly make a certain character's main narrative motivations more empathetic. If one played Yakuza 0 just before this they will also notice some familiarities to that title well. 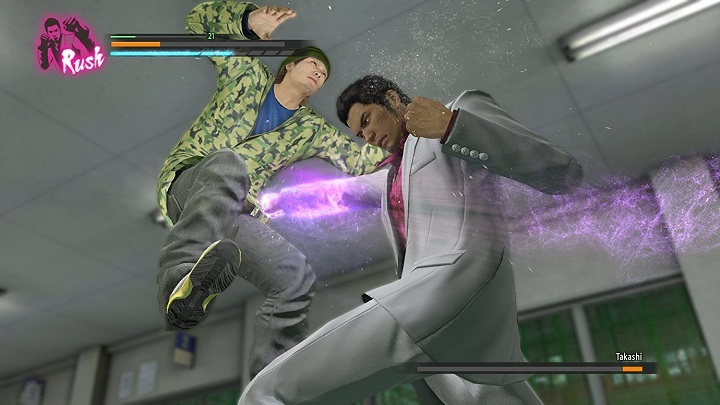 So, visuals aside, many of the quality of life changes introduced in 0 are pretty much all present such as the fun, if simplistic, combat system changes that allow Kiryu to switch between four different styles on the fly or the ability to play through a bevy of minigames from it too. Newcomers to the first Yakuza or the series in general should be in for a real treat regardless of the sheer breadth of gameplay activities to play around in. There is a lot to see and do in the streets of Kamuracho, like fight thugs in over-the-top combat, visit as well as date ladies at hostess bars, sing karaoke, play shogi, eat at various restaurants, go batting at baseball cages, and plenty more. Though series veterans will likely have more than a lingering feeling of been there, done that for the most part. I mean, it is a faithful remake after all. There are gameplay differences that are actually unique to the series in Kiwami, however. One of the biggest additions is that while waltzing around town from anything to brutally beating up random goons, moving to the next main story destination, or participating in side activities a certain someone is keeping their eyes on you the entire time. Well, 'one eye' on you to be quite specific. The person in question is the eccentric and often "Kiryu-chan! "-shouting thug (also former lead character of Yakuza 0, just FYI) named Majima Goro, who can appear from just about anywhere just to pick a fight with Kiryu. That is not hyperbole, mind you. 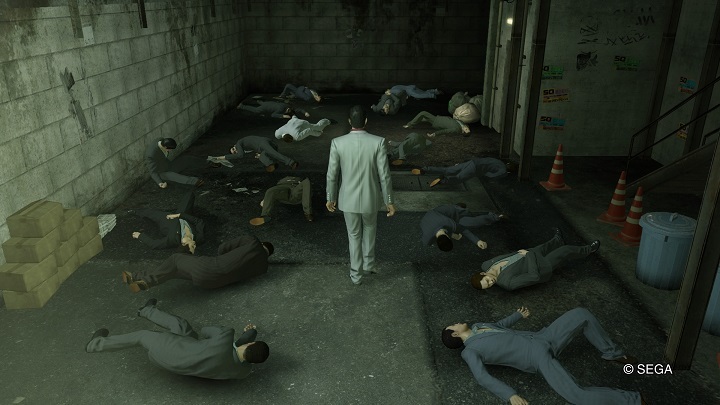 Majima literally has an entire gameplay system around appearing just about anywhere called "Majima Everywhere." It leads to many genuinely hilarious and unexpected situations to the moment to moment gameplay. He may pop up out of a manhole, after one orders food from a restaurant, during certain mini games (though, he'll avoid the fisticuffs in those situations), and plenty more that I don't want to spoil just to challenge Kiryu. What is also neat about this system is that it also feeds into gameplay progression too like helping Kiryu learn many unique combat skills the more times you fight him too (technically 'remember'). 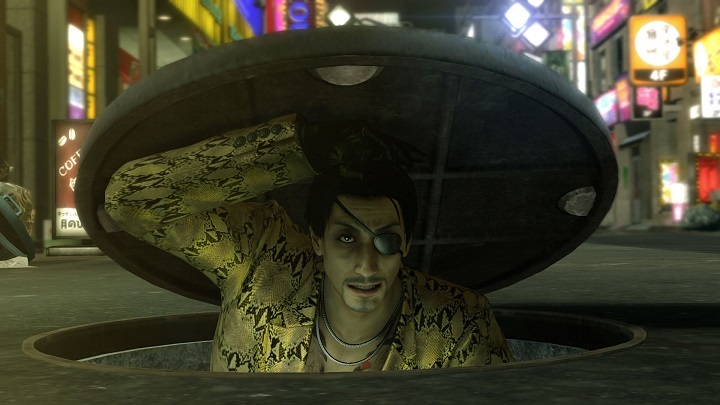 Although, as one can guess, as wonderful as it is to see Majima in any capacity, it can be annoying at times when certain scripted events are recycled and it just feels like you are fighting him with more health the next time around (considering he gets stronger after certain progression points). That said, something nagged on me the entire time while playing. I will be the first to admit that this is somewhat unfair to the remake itself, but I found myself thinking about Yakuza 0 the entire time while playing it. And frankly, Yakuza 0 is a better game in nearly every capacity. The storytelling is much better told, scripted boss fights and battles are way more exciting, has more than double the amount of activities to partake in, and is just presented better. That is not to say Yakuza Kiwami is bad by any means; it is a really well-done remake after all. Yet, it is almost faithful to its original release to a fault as I was feeling far less nostalgic and more so pining to just go back and play Yakuza 0 instead. Yakuza Kiwami is not entirely a net positive from the PS2 release but it is real dang close. As minor as it is, the arrangements of familiar battle themes are rather underwhelming in Kiwami. Also disappointing is that the entire main theme -- "Receive You" -- is outright absent for the US release (seemingly due to licensing issues), so the title screen and battle themes associated with it have also been changed. But otherwise the audio department remains unscathed, though while unsurprising, it lacks the English dub in the original version. Regardless, I will count that too among Kiwami's many blessings, as the f-bomb obsessed and mediocre dub of that title is replaced and a way sharper and wittier English localization. I am torn on my outlook Yakuza Kiwami. On one hand, I really respect the many quality of life changes it presents and how far more accessible it makes one of the most important entries in the entire series to a broader audience (the significantly budgeted retail price helps with that too). On the other hand, as a remake, and as an individual Yakuza game, it feels almost faithful to a fault by not improving as much as it could have. Yakuza Kiwami is best used as a good reference point to where the franchise began than be held up to the standard of the series to its absolute prime as this year's Yakuza 0 was more than willing to prove. Yakuza Kiwami is an extremely faithful remake of the first title that is better at modernizing a former PS2 classic than it is at proving the best the series has to offer.